Ribbon – 7 mm. Pink and Mauve for Five Petal Flower. Thread - Fawn Thread for Fern Stem. Pink Thread for Bud Tip. 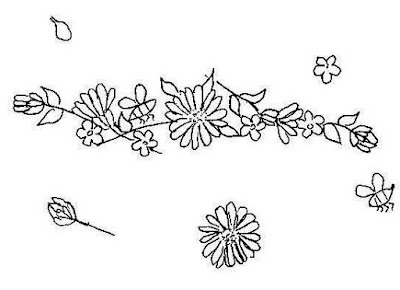 Bone Thread for Lazy Daisy Leaves of Daisy. Beads - 5 Pearls for Centre of Flowers , 1 Lilac for Daisy. Five Petal Flower: Transfer and prepare as instructed for Pansy. in Detached Chain in Fawn Ribbon. and half daisy are next. 4. With Pink 7 mm Ribbon make Detached Chain Buds, 2 Calyx in Green 7 mm. Ribbon and small Straight Stitches in Pink Thread at the tip. 5. 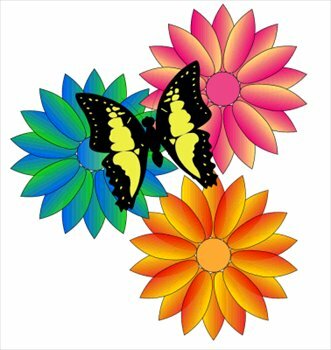 At this stage place your Completed Five Petal Flower in position one at a time. 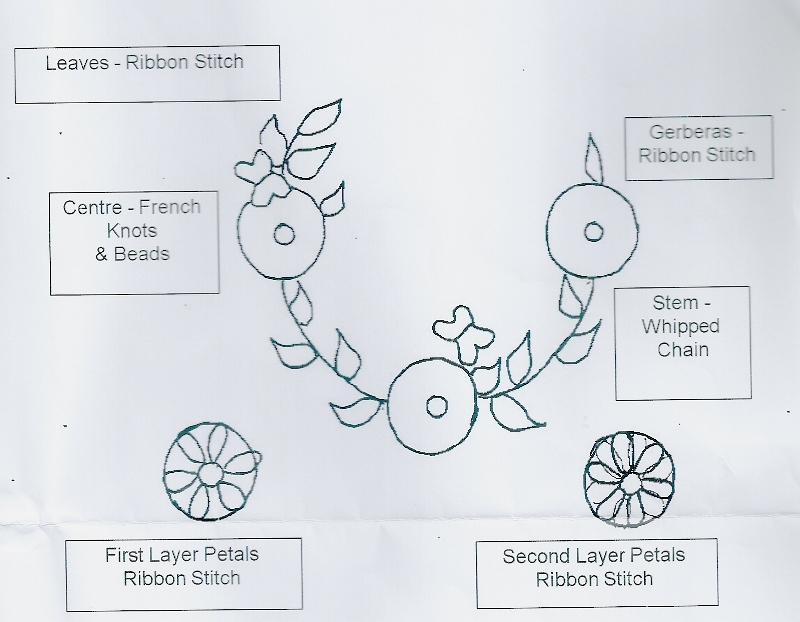 where the centre of the flower will be and push the ribbon ends through. the centre. Repeat with remaining flowers. 6. 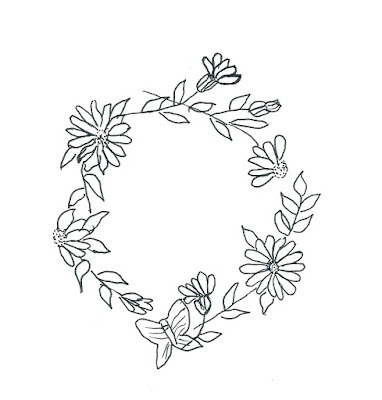 Finish any remaining leaves and sew small lilac bead in the centre of the daisy. Leave an opening on one side to insert the filling. Using small slip stitches in matching thread close the bag. Second Pillow: Cut 2- 15 x 15 cm Pieces Finished size 12 x 12 cms. Third Pillow: Cut 2 -16 x 16 cms Finished Size 14 x 14 cms. 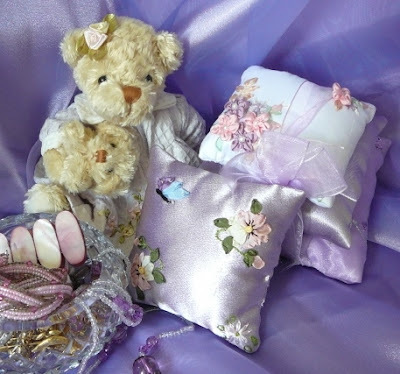 Finish off by stacking the 3 Pillows and tying with Organza Ribbon. that would work well for these pillows. Think personal gifts for Christmas or Birthdays etc. or shaped to fit a Wedding Garter. 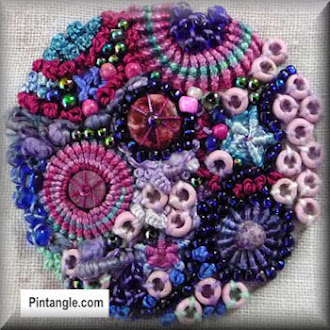 Stitches Used: Stem Stitch, Ribbon Stitch and Straight Stitch. 7 mm. 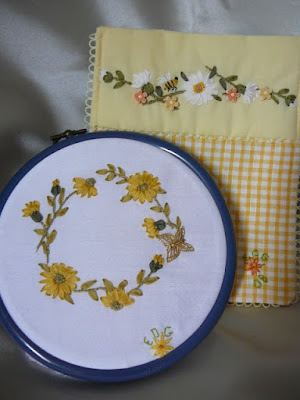 Yellow for French Knot Centre. 7 mm. Green for Leaves and Calyx. 7 mm. Lilac and Blue for Wings of Butterfly. 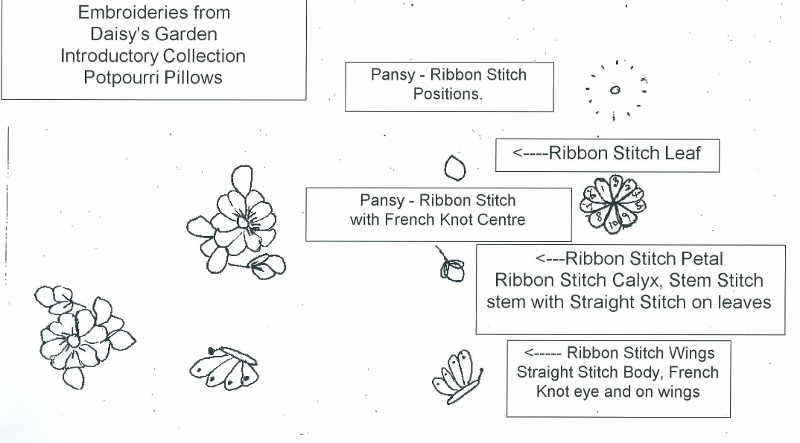 Threads - Black Thread for markings on Pansy and body of Butterfly. 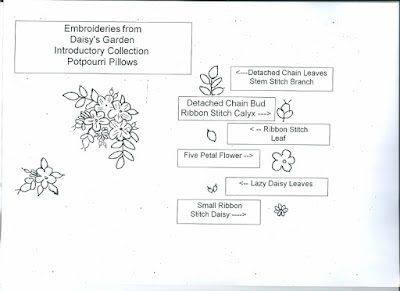 Green Thread for stems and markings on leaves. Metallic Thread for eye of Butterfly and on wings. can be done using a light box or by placing the pattern and material up to a window. Allow enough material to be able to insert in the embroidery hoop and cut out later. 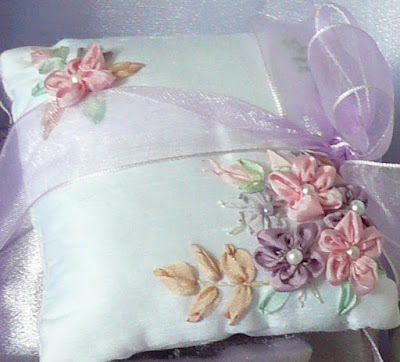 is needed to stitch the ends of the ribbon down and also helps while embroidering. work can be wasted. Place fabric in Hoop. down all Ribbon ends well, do this as you are beginning and ending each Ribbon. catch with your needle and pull on the previous stitches. 9 and 10, which should overlap the Pale Pink Ribbon. this is where you will see the resemblance of a Pansy taking shape. ( 1 Strand) at the tip of the calyx. 4. Stem Stitch the stems of the Pansy Buds ( 2 Strands). at the tip of the wings. remnants that would work well for these pillows. Stitches Used: Whipped Chain, Ribbon Stitch and French Knots. the flower as you work. Any colour you would like Red, Oranges, Pinks etc. 7 mm Silk Ribbon Green for leaves .7 mt. Threads: .5 Mt. of 2 Different tones of Green embroidery cotton. .5 Mt. Metallic to highlight French Knot Centres. Seed Beads - gold for Centres. Butterfly charm. Piece of Fabric 20 cm x 60 cm. Finished size: 17 cms x 25 cms. Instructions: Pre-wash the ribbons, then iron when dry on a silk setting before you begin. the back of the bag and pin this down, so as not to get it caught up while you are working. a light box or by taping the design up to a well lit window and holding the fabric over it. you are working and all your good work can be wasted. green, 2 strands whip the chain. and outer circles as your guide, leave a distance of just under one petal size between them. the french knots, you may have to take some over the ribbon stitches which is fine. Leaves: Work long Ribbon Stitch leaves in the Green 7mm. Ribbon. Finally sew on the Butterfly Beads. Gerberas a radius 1 cm. make the bag with a contrasting or matching lining. Fill bag with gift of choice and tie with wide organza ribbon to embellish. Ribbons: Yellow & White Ribbons 4 mm. Daisy Buttons & 1 Butterfly Charm. 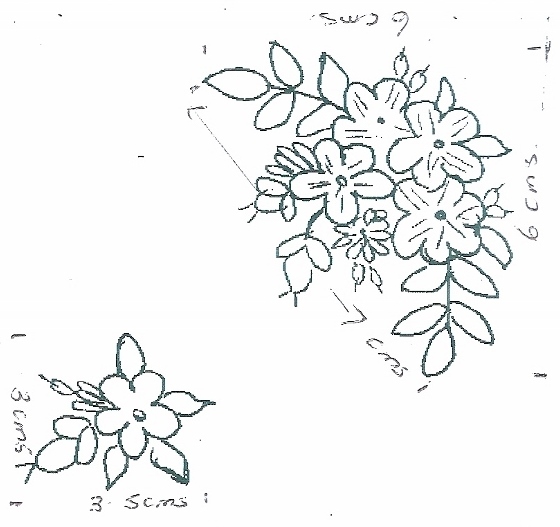 Instructions: Transfer the design onto material of choice with water erasable pen. Stems: Using 2 strands of green thread, work whipped chain stitch for the stems . Ribbon Stitch in green for the leaves. small stitches, slightly curved in. Daisies: Thread a length of petal ribbon and do the petals in a clockwise direction. black thread, a small stab stitch for the stinger, 3 stripes and a French Knot for the eye. Then 4 little legs. Wings are 2 ribbon stitches in white. Width 12 cms. Depth 3 cms. Daisy Ring could by added to a pincushion or a cover to a round box. 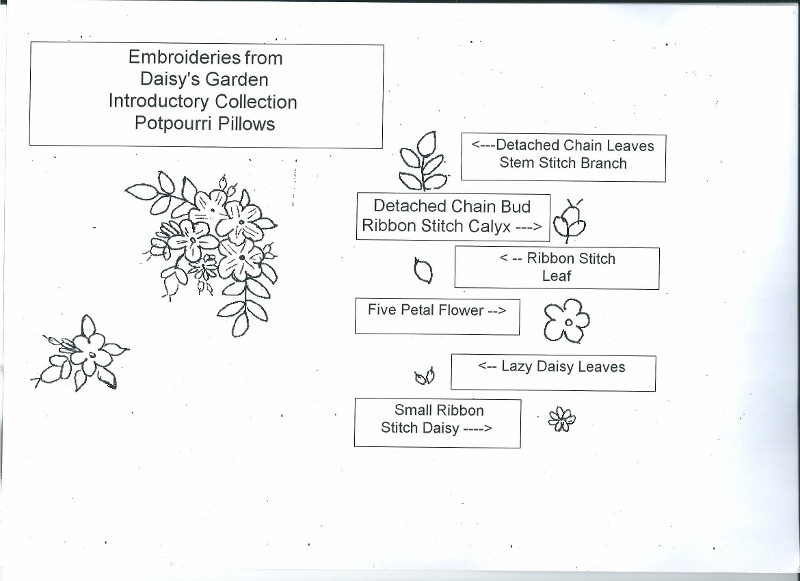 Daisy Chain Repeated could be a border on linen. 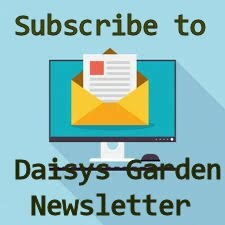 Visit the Daisys Garden Embroidery. For centuries, embroidery has been a source of satisfaction, relaxation and pleasure for women and men of all ages. Handmade items are made with love and care, and can be something to treasure for ourselves, or a way of passing on something of ourselves to others, be they friends, family or generations to come. In times past, when women worked without the help of modern conveniences, decorations and embellishments may have been few. 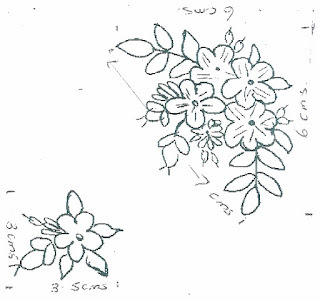 Embroidery was a way for women to simply and cheaply, make something useful into something of beauty as well. Just as in times of mass produced, disposable goods, our " electronic age ", to take time out to sit and sew can be therapeutic, rewarding and satisfying. Ribbon Embroidery is one of the easiest and simplest embroidery techniques to learn. By learning a few quick and simple embroidery stitches and basic ribbon stitches, you have the knowledge to create a multitude of silk ribbon projects, whose delicacy and richness, belie how easy they are to make. 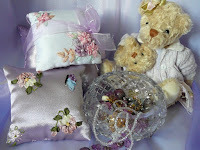 Ribbon Embroidery is much quicker than many other embroidery techniques, such as Cross Stitch, meaning much less time in which to have a finished item to show off and be proud of. Silk ribbon is now available in many different widths, colours, dyes and blends. Experimenting with these can add a whole different or extra dimension to your work, and are surprisingly quick to make. ( small handbags ) caps and gloves. Shoes were embroidered to match coats and gowns. 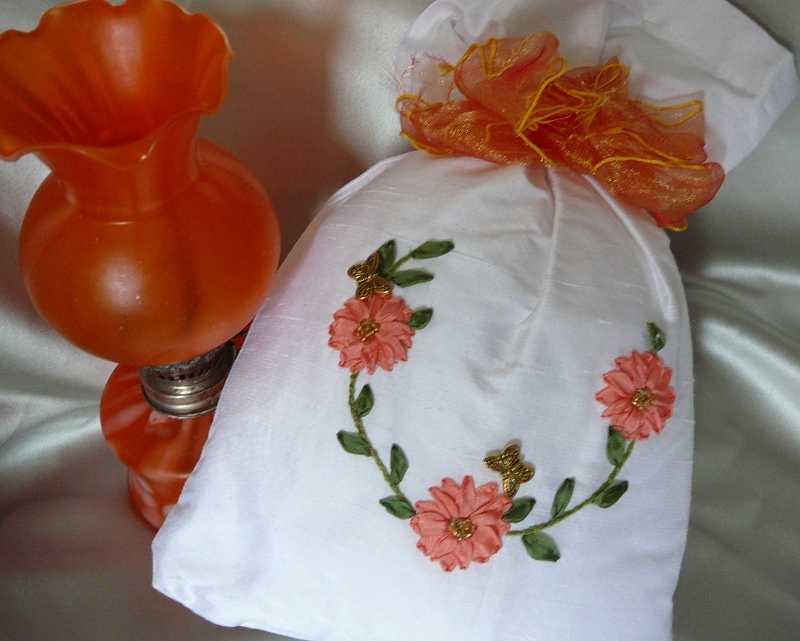 Over time, women used it to embellish all sorts of items, such as shawls and blankets, as well as other home wares.